I ask you, can marketing’s performance be tied to revenue? Finally, the answer is yes and it’s essential to do so to change marketing’s perception from a cost center to revenue generation. Podcasts continue to be a hot digital vehicle to reach at-work and away from work listeners. As webinars have waned in usefulness, radio podcasts have surged as the digital media with long tails to build thought leadership, a personal brand and a network that knows of you and your company. It is a friendly, entertaining, non-threatening, fountain of information. Asher Strategies announced the launch of Asher Sales Sense, a radio show with podcast replays that feature hosts John Asher and Kyla O’Connell, informed guests and unique conversations on sales strategies. The first program aired on Sept 6th, and is available on asherstrategiesradio.com for people to listen in on the latest episode. John Asher interviews Kyla O’Connell, senior sales trainer and coach for Asher Strategies about Sales Training Reinforcement Techniques. Kyla discusses the traits of an elite salesperson, how she learned it and how she teaches sales reps to achieve an extraordinary level of success. Is it time for you to have a Personal Brand? Note: This is an abbreviated article that originally appeared in the Funnel Media Group Blog as Do You Have a Personal Brand? For many careers, having your own personal brand, beyond words on a resume, not only makes sense, but is required and expected. It could be a sales job, marketing (of course), even CEOs and Presidents have personal brand considerations. For your own brand you have to consider how you will invest in yourself. The Best ABM Podcasts on Sales Pipeline Radio with Matt Heinz - 8 to Choose from! A full Course on ABM! 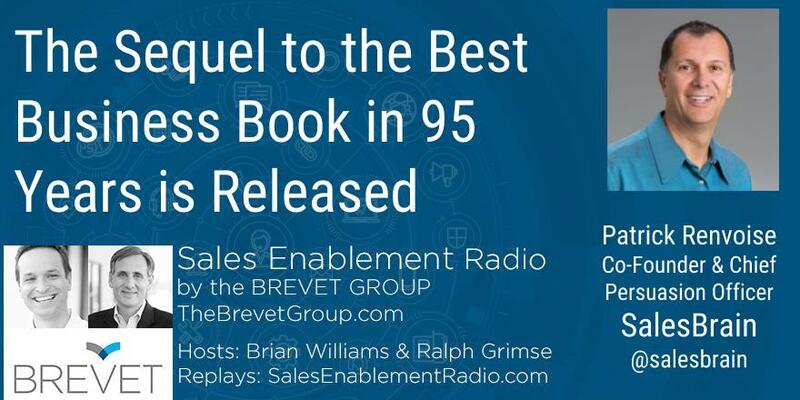 Listen to Matt Heinz on Sales Pipeline Radio interview eight experts on ABM. This is a free full course on Account Based Marketing! Mark Godley sits down with Karan Singh, COO at SalesSource, and Lars Nilsson, CEO of SalesSource, to discuss why data can make or break B2B GTM strategy. Between the three of these data dogs they know a thing or two about data and most of it has been learned through trial by fire in their early years. Join the podcast to hear what pitfalls to avoid when choosing a data provider and what defines success. Revenue Rebels spotlights rule-breaking marketing and sales leaders who are accelerating business growth with a fanatically customer-centric approach. August 14, 2018 - - Lynden, WA - - The longest-running weekly internet radio/podcast program for at-work and mobile listeners, Sales Lead Management Association (SLMA) Radio on the Funnel Radio Channel, announced that Rhoan Morgan, CEO of DemandLab, is joining the digital streaming program. Morgan, a frequent contributor on the Funnel Radio Channel, will now host her own program focusing on the successful achievements of Revenue Rebels.